This album was quite a surprise and showed Rainbow returning to their roots. 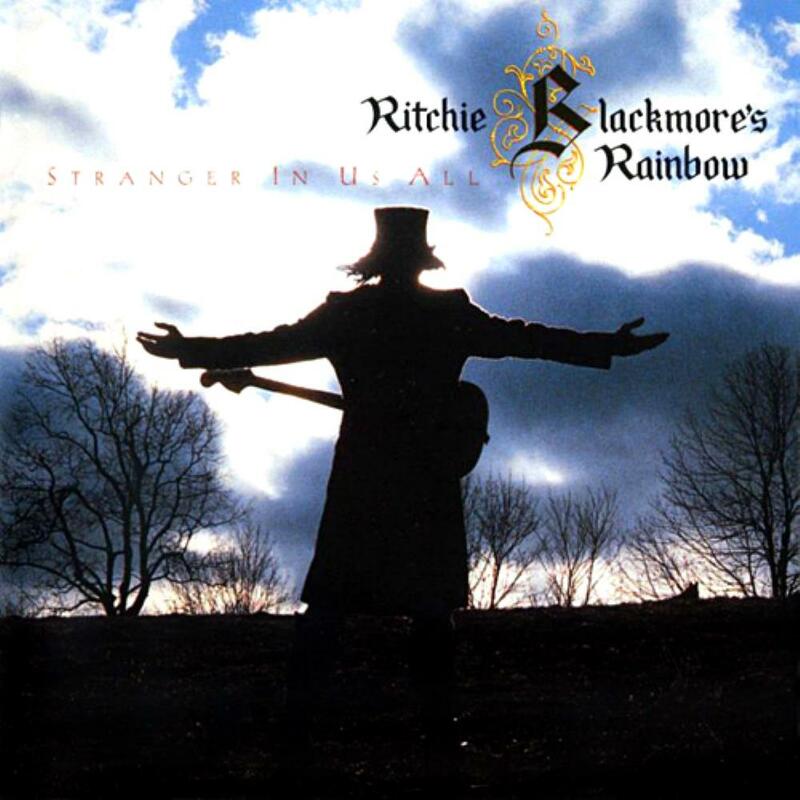 On the first two tracks,"Wolf to the moon" and "Cold Hearted Woman" one can immediately hear that Blackmore is back with his Purple style riffs. Bring in Doogie White on vocals and the music takes a turn for the better, back to the classic rock sound we are used to from a band like Rainbow. Ritchie does some experimenting on "Hunting Humans (Insatiable)" which makes for some interesting listening. Not something you would expect from Rainbow. This song has the bass and drums way up in the mix, while Ritchie unleashes some strange alien type sounds from his guitar. "Stand up and fight" is the sore thumb on this album, much like Blackmore´s "If you don´t like rock n roll" on Rainbow´s debut album. "Ariel" is one of the best songs, with some beautiful lead guitar by Blackmore. This song also introduces us to Candice Night who appears as a guest vocalist on this track. Doogie White does a fantastic job on vocals, especially during the middle part of the song, just before Candice takes over. "Too late for tears" is a good standard rocker which is followed by "Black Masquerade" on which Ritchie gives a glimpse of the musical direction he will eventually turn to when he forms Blackmore´s Night with Candice Night. "Silence" is another Deep Purple sounding track with a driving riff and powerful vocals from White. "Hall of the mountain King" is another Rainbow clasic (Previously it was done by Savatage) which showcases Doogie White´s vocal talents. "Still I´m Sad" was last done on "On Stage", so this is the first time it appears as a studio track. Here it is speeded up with White having no problems reaching the high note which were reserved for Dio. All in all this is a great album. If it wasn´t for the fourth track I would have given it five stars. Sadly this was to be the last studio album from Rainbow and the last time Ritchie Blackmore played hard rock.